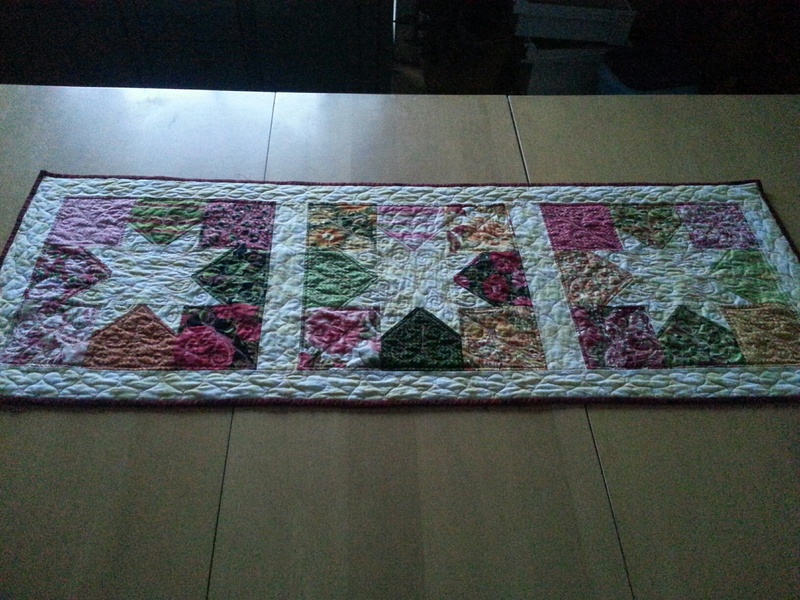 As I had earlier mentioned I am posting the runner that I made on the 1st day of spring. I used a marking pen to mark the 1st 3 centers of the star till my body got a memory of the pattern then I just winged it for the rest of the runner. Here are pictures of the Quilting. It’s not perfect but I am happy with it, so that’s all that counts. Hello, I found you by a post on Canuck Quilters site. I am a Canadian living in Virginia. I really like your site and would love to be added to your email list. this blogging thing is all new to me and I have not figured out the email list thing yet. lori can you email me your address mine is Chairo@telus.net and I can add you to the list. Thank you.